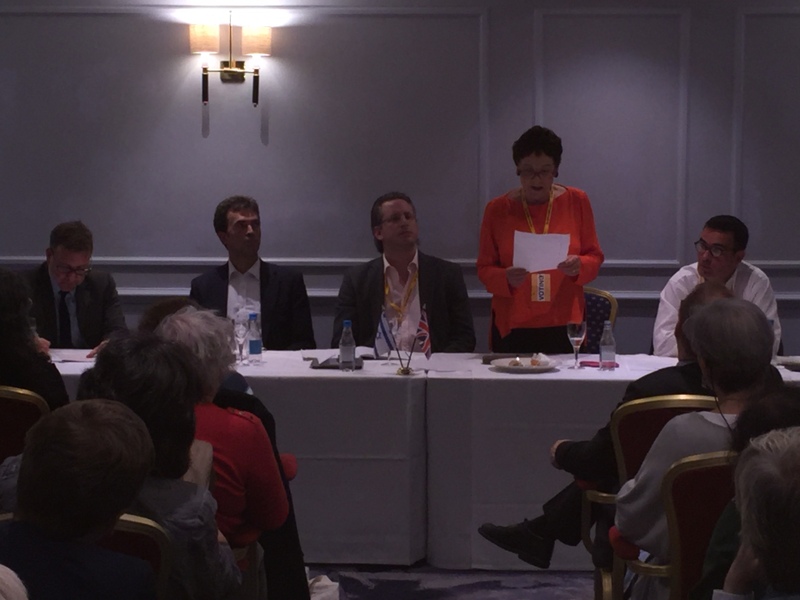 Approximately 100 people gathered in Brighton to hear an expert panel discuss the implications for Anglo/Israel relations around peace, trade and anti-semitism post-Brexit. The panel was made up of Nick Clegg’s former Chief of Staff and new (ish) Lib Dem Peer, Lord Jonny Oates, former MEP for London and LDFI Vice President, Baroness Sarah Ludford, Lib Dem Shadow Foreign Secretary, Tom Brake MP and the Israeli Embassy’s political counsellor (and third in command) Christian Cantor with LDFI chair Gavin Stollar. Christian gave an erudite and comprehensive explanation on where things are in Israel which stimulated insightful and valuable contributions from all speakers. After the meeting we held a dinner at which representatives from the Board of Deputies for British Jews joined, as well as eight Parliamentarians, advisers and members of LDFI’s Honorary Executive Committee. Further insights and very interesting debate ensued.